Ita��s close to 8 pm on a Monday evening and Sumeet H Sanghavi has just wound up his classes for the day. We are at his shooting range on Vasu Street in Kilpauk, and our conversation is broken by occasional gunfire, as Shree Nivetha, a Coimbatore lass, practices for the upcoming international meet in Germany, on May 25. a�?Shooting is the only sport in which you can represent the National level within a year,a�? says Sanghavi, pointing to Nivetha, who started shooting just four years ago, as an example. Sanghavi, an international gold medallist who started shooting when he was 10, set up his fully-electronic shooting range for private practice, but decided to give back to the sport when he turned coach (certified by the National Rifle Association of India) and found time on his hands. 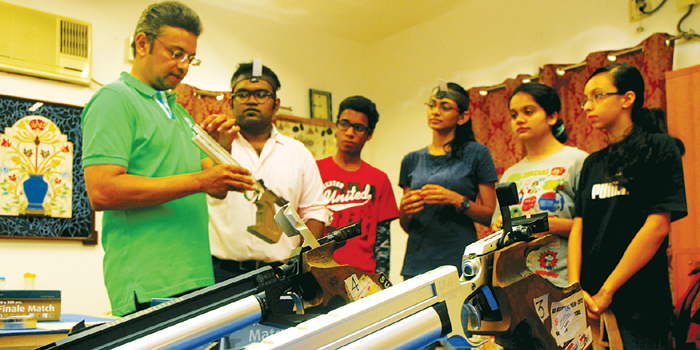 Sumeeta��s Air Gun Sports Academy is one of the few electronic ranges in the country, equipped with Olympics-grade Steyr guns imported from Austria, and Olympics-approved Sius Ascor (Swiss made) electronic targets, in four lanes. While you could even be in your 60s and still learn to shoot, children will have to be at least 11 to start. Sanghavia��s training begins with a 15-minute exercise routine to work on hand-eye coordination, oxygen levels and the stability of your arm. 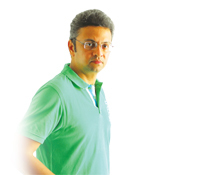 Besides having to hold up the one-and-a-half kilo air gun steadily, therea��s no other physical demands in the sport, Sanghavi tells us. a�?Shooting is 90 per cent a mental sport,a�? he says, pointing out that it helps develop concentration. It is not as simple as pointing at an object and shooting, as shown in the movies, he says, a�?The secret to shooting is a subconscious release of the trigger and maintaining a good sight picture. Without that, it is not possible to hit a target.a�? It takes 10 days of preparation before one can actually stand and shoot. Sanghavi takes classes on alternate evenings (Monday, Wednesday, Friday) during the week and in the mornings on Saturday and Sunday. He concentrates on batches of four at a time and is confident that students can sign up to represent Chennai at the state level after three months of coaching. In fact, it was after many requests from friends who wanted their children to learn the sport, that Sanghavi decided to turn coach. a�?Shooting is giving India its maximum Olympic medals. We need more youngsters to take it up,a�? he says. The academy, now two months old, has around 16 students (a majority of them in their teens), and Sanghavi is confident that more will pour in once his first batch makes it to the state level in August.